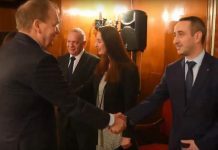 Bulgarian President Rumen Radev is satisfied with his first visit to Serbia, during which he reiterated his commitment to dialogue and compromise solutions, both in the dialogue between Belgrade and Pristina and in EU-Russia relations. 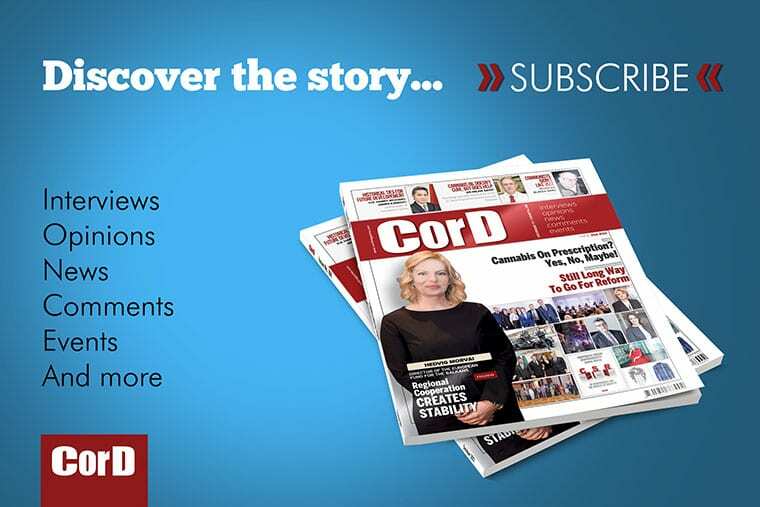 In this interview for CorD Magazine, the Bulgarian President noted that his country will advocate for the Western Balkans to remain in the focus of the European Union even after the end of the Bulgarian presidency, as well as for the projects agreed at the June 2008 EU-Western Balkans summit in Sofia be implemented. Mr President, how would you rate your visit to Serbia and recent talks with Serbian officials? – I felt at home in Serbia and was personally convinced that this is a beautiful and European country. Our political relations are developing positively, our trade exchange over the past year exceeded a billion Euros, tourist flows have steadily increased, while there is good cooperation between the two countries in the spheres of defence, internal affairs and migration. Many things connect us; we work together successfully on many large-scale projects in the areas of connectivity, which I think is of great importance to the future and the security of both of our countries. Connectivity, which was one of the priorities of the Bulgarian EU Presidency, does not, however, mean only building infrastructure and transport projects, but also education and contacts between young people. That is why, during my visit to Serbia, members of the Bulgarian delegation discussed a wide range of issues, with their Serbian counterparts the two rectors of Sofia and Belgrade universities signed a Memorandum of Cooperation. It was a pleasure for me to visit, together with President Vučić, an exhibition in Belgrade called “Applied Nostalgia”, organised by the Ministry of European Integration in Serbia and the Embassy of Bulgaria in Belgrade, which traditionally marks the end of the rotating Presidency of the Council of the EU. Anyone who has seen it can understand how close our capitals – Sofia and Belgrade – really are. Reiterating your support for Serbia’s European integration, you assessed that 2025 – as the possible ear of accession – is a viable but ambitious goal. In your opinion, what is the key factor in this process? As a member state of the EU, and as a Balkan country, Bulgaria remains committed to the European perspective of the entire region and has proven its readiness to support and assist the countries of the Western Balkans on their path to the EU. Following the end of its EU Presidency, Bulgaria remains active in the EU Troika Presidency and continues to work for the focus to remain on the region of the Western Balkans, for tangible projects to be implemented – as set out in the Sofia Declaration – and for other important regional initiatives to be realised. We have repeatedly stated our support for the European path of Serbia and will continue very actively with this effort. The 2025 horizon that was announced in February 2018 is a new chance for Serbia and other membership candidates to complete all the necessary reforms. This is a long path that requires all stakeholders be brought together to achieve what has been stated by all Serbian politicians as the strategic goal of Serbia – membership in the EU. Focus is on reforms and positive changes! I commend President Vučić and the Government of Serbia for their declared willingness and actions taken to deliver and implement the expected reforms in all spheres. The strengthening of the rule of law, protecting minority rights, media freedoms and accelerating public sector and economic reforms are vital for this progress. Reforms are central to the success of Serbia’s transformation process, but without broad support and communication with society they are prone to failure. How would you evaluate developments during the six months of Bulgaria’s presidency? The Western Balkans’ accession to a United Europe has been a goal of Bulgaria ever since the country joined the European Union in 2007. More importantly, this was among the goals of the enlargement policy of the EU itself, which was set in the decisions made in the so-called Thessaloniki Agenda of 2003. The fact that this topic was “frozen” as an item on the EU agenda during the past decade is not in Bulgaria’s interests, nor those of any country in the region, nor even of the EU. Security, stability and economic developments in the Balkans are connected with the European prospects of the entire region, and Bulgaria’s Presidency of the EU Council was an excellent occasion to have this issue raised yet again and to have it placed in the focus of the debate held within the EU. Naturally, making progress in the process of European integration cannot be contingent on any fixed time limit, but rather on the achievements of each country in the region and on their will to reform. During the last months, neighbouring countries reaffirmed their intention, while the EU expressed its willingness to continue supporting this process. 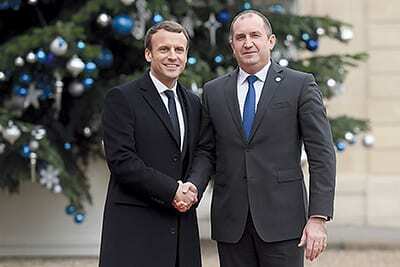 During the recent EU-Western Balkans summit in Sofia, French President Emmanuel Macron expressed the view that there can be no EU enlargement before the conducting of serious reforms within the EU itself. In your opinion, is this the prevailing position in the EU? As a result of the political and economic crises surrounding Europe, as well as those inside Europe over recent years, the EU is now focused too much on its own problems, pertaining to the lack of a common approach to migration, the economic cohesion between “old” and “new” member states, and Brexit, among other issues. This is a natural process, considering that the efforts that are being put into reforming the EU will determine the future shape of Europe, though they should not lead to dismissing the idea for the Balkans’ accession to the EU. This is a common task for both the EU member states in the region and for our neighbouring countries in the Western Balkans, for which the prospects of EU accession represent the engine of reforms. In the context of discussions regarding the EU’s internal reforms, how do you see the future of the Union and Bulgaria’s positions within the reformed EU? The next couple of years will see the EU go through tough times. It will rethink itself and maybe redefine itself. Radical change is needed, because our Union went through several crises – the financial downturn that we witnessed almost 10 years ago reduced economic growth, which was very difficult to overcome. Unemployment remains at relatively high levels, especially among young people, and this has exacerbated latent social contradictions and the integration of ethnic communities. The EU has suffered some kind of crisis of confidence. Some European citizens question its ability to cope with the challenges. In these circumstances, it is crucial that the EU pursue the internal debate about its future. It should be a union that stands close to its citizens, and governments should address the needs of ordinary citizens. The division lines that appeared between the North and the South, between the West and the East, must be erased. But, above all, the need remains to protect the values that kept Europe together for more than six decades. Bulgaria is also very interested in preserving core EU policies, such as cohesion and subsidised agriculture. If we are able to implement this vision, it is also obvious that Europe should run at one speed. Bulgaria’s presidency culminated with a historic agreement between Greece and FYR Macedonia on the future name of that country. How important is that agreement when it comes to the stability of the region? The agreement addresses one of the toughest problems in our region. If the two countries are able to go through the legal procedures for putting the agreement into force, it would provide a solid base for establishing good neighbourly relations between these two countries. I hope that the Treaty between Bulgaria and the Republic of Macedonia will play the same role vis-à-vis my country. The most visible and immediate consequence of the Greco-Macedonian agreement may be the removal of obstacles to Macedonia’s integration into NATO and accession to the EU. About the dialogue between Belgrade and Priština, you have said that Serbia’s attitudes must be respected in this process if a sustainable solution is being sought. Do you have the impression that the international community treats the arguments of both parties equally? Bulgaria has consistently supported the reconciliation process in our region, and we made it possible to assist the resolving of a maximum number of unresolved bilateral issues. I stand behind my words that the voice of Serbia must be heard in the dialogue process between Belgrade and Pristina to reach a lasting solution. I respect and highly value the commitment of the EU HR/VP Federica Mogherini to this process, and I know that much has been done in this direction. It is encouraging that this process continues despite the difficulties on this path. 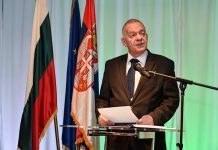 What Bulgaria would like in its relations with Serbia is to remove the obstacles on Serbia’s path towards European integration and for Serbia to take its rightful place in EU, where it belongs. We are convinced of this. 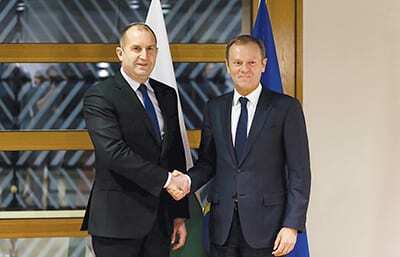 Bulgaria and Serbia should soon be linked directly by a highway. 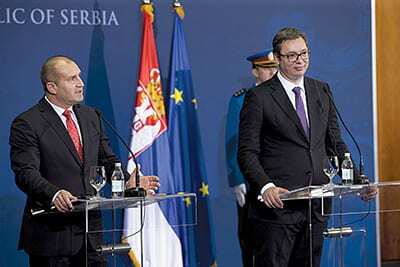 It has been announced that the end of this year will complete the section on the Serbian side. When will works be completed on the Bulgarian side? The connection between our two countries is part of the Trans-European Transport network and lies on the shortest route between Western Europe and the Middle East. During my recent visit to Serbia, my counterpart president Vučić and I discussed the importance of our common infrastructure projects and in particular the progress being made on constructing the highway between Bulgaria and Serbia. The highway section that lies within Serbia is expected to be completed very soon. The upgrading of the road section between the Kalotina border checkpoint and Sofia is underway, with the tender procedures having been finalised. The construction works on this part will cover very challenging terrain, but I believe that our Road Infrastructure Agency, as the contracting authority, together with the executive contractors, will take this challenge very seriously and complete the works within two-and-a-half years. High hopes in Belgrade are being placed in the construction of the Niš-Dimitrovgrad gas interconnection, with which Serbia – via Bulgaria – will be connected to the pipeline that supplies gas from Azerbaijan. How are the dynamics of the construction of this gas pipeline through Bulgaria progressing and when could it be completed? Since the TANAP gas pipeline was commissioned and made operational in June 2018, Azerbaijani gas now reaches the Turkish-Greek border. Yet, for that gas to enter Serbia, another three gas pipelines need to be completed and commissioned. The first one is in Greece – the so-called Trans-Adriatic gas pipeline (TAP), and it will transport Caspian Sea gas from the Turkish-Greek border to Komotini. Thereon gas supplies will be transited through the Bulgarian-Greek IGB interconnector, which is under construction and is to be commissioned and made operational in 2020. After that, via the Bulgarian national gas transit system, Caspian Sea gas supplies can reach the Bulgarian-Serbian IBS interconnector. Recently, the European Commission granted 49.6 million euros in aid from pre-accession funds for the construction of a facility in Serbia. According to the two countries’ coordinated plans, this gas pipeline should become operational in May 2022 at the latest. You spoke recently in Moscow about Bulgaria’s desire to preserve gas supplies via the route that used to be called the “South Stream” and explained that such a stance is dictated by “common sense”. Do you believe it is possible for this project to be revitalised – given that it would be in some way politically unacceptable for the EU? What I said before, and am now reiterating, is that Bulgaria and all other EU member states need direct supplies of Russian gas through the Black Sea. Whether we refer to the pipeline as South Stream or Bulgarian Stream does not matter much. After all, it is beyond any doubt that this is the safest and cheapest route, and it is a direct route as well. The need for direct supplies of Russian gas to the territory of EU countries is conditioned by common sense, as well as by the requirements for energy security and reliability. They form the foundation of the now established European energy union. As to whether the project will be politically acceptable for the EU, I would like to say once again that ensuring the transit of gas supplies along the South Stream pipeline is by no means different from Germany’s plans to implement the construction of North Stream 2 gas pipeline, given that the requirements of the EU’s Third Energy Package are met, of course. I do hope that Brussels accepts this idea with understanding, ever more so considering that this ensures additional gas supplies not only to Bulgaria, but also to Serbia, Hungary, Austria, and northern Italy, among other countries. You are among the European leaders advocating for good relations with Russia. Do you think the future will be marked by cooperation or a further sharpening of ties? In my opinion, the authentic role of foreign policy is to ensure that the gates are wide open for dialogue and cooperation, instead of singling out foes. The EU’s relations with Russia cannot but be influenced by the political crises in Eastern Europe. Nevertheless, the refusal to hold any dialogue whatsoever cannot possibly be a solution to a crisis. Despite the ongoing tension in EU-Russian relations and the mutually imposed sanctions, Russia has reaffirmed itself as Europe’s traditional partner in the sectors of energy, the economy, tourism and the fight against terrorism. The leading EU member states have defended their economic interests in Russia, and I see no reason why this should not also be valid for Bulgaria. It is my view that avoiding the tone of aggression should become a common principle in bilateral relations while holding a pragmatic dialogue with the biggest country in Eastern Europe is in the common interests of both the EU and Russia. During your visit to Serbia, you expressed interest in the rights of the Bulgarian minority. How would you assess the position of Bulgarians living in Serbia and what do you consider to be the biggest challenges? Standing together with President Vučić during my visit to Dimitrovgrad and addressing the representatives of the Bulgarian National Minority was a sign of the unity and strong determination of our countries to continue building stronger partnerships and trust in the years ahead. This momentum has been recognised by the strong commitment of both countries to act together and look for mutual ways to help and assist the representatives of the Bulgarian National Minority in Serbia, in the full spirit and in accordance with Serbian legislation. The steps were already taken by Serbia, and the results achieved in improving the situation of the Bulgarian National Minority, are so far encouraging. We believe dialogue is the only path to finding a solution to the daily problems of the minority, but that must be accompanied by candour, openness and commitment to minority issues. I am pleased to note that Serbia is making important amendments to legislation concerning the rights of national minorities and I am confident that such amendments will provide the necessary atmosphere in which all representatives of minorities, regardless of origin, will feel equal, free and protected. However, Bulgaria expects much more from the National Council in its efforts to unify the Bulgarian National Minority and to protect its rights hand in hand with the Serbian state. The climate of confidence that exists and the political will of the Serbian state that has been demonstrated in Dimitrovgrad should be leading to effective and durable solutions to the problems of the Bulgarian National Minority in the area of education, freedom of religion, access to information in mother tongue and others. The respect for its rights is important not only for Bulgaria but also for Serbia, as well as concerning our bilateral relations and the European prospects of the whole region. During your recent visit to Dimitrovgrad, it was promised that the Serbian authorities would provide significant assistance to help the work of Bulgarian language media. How do you view the importance of the media and respect for media freedom and freedom of expression generally? The importance of the issue with media freedom and freedom of expression, in general, is becoming higher and higher every single day. We are living in an era of the digitisation of our everyday lives and, in this respect, the importance of having good and reliable sources of information for the most important facts around us is ever greater. It is even more important to have media outlets and media content that inform people in their mother language. This is the only way for the people not to be easily manipulated and to be well informed. I want to thank President Vućič for taking care of the problems of the Bulgarian National Minority and especially for his decisive support during our meeting to figure out a way to ease the life of the media companies in Serbia that produce media content in the Bulgarian language. When the UN Secretary-General appointed me to lead the UN Office in Belgrade – which is empowered by him to politically support the countries of the region in their efforts towards improving regional cooperation and enhancing peace and stability – I didn’t know what to expect. Milan Damjanović, Director of Kosjerka S.P.T.R.